Happy Friday everyone! It was another quick week around here and I'm not complaining one bit! With no real plans set for this weekend and sun in the forecast, I'm pretty happy! Let's get right to some favorites from the week with Amanda! 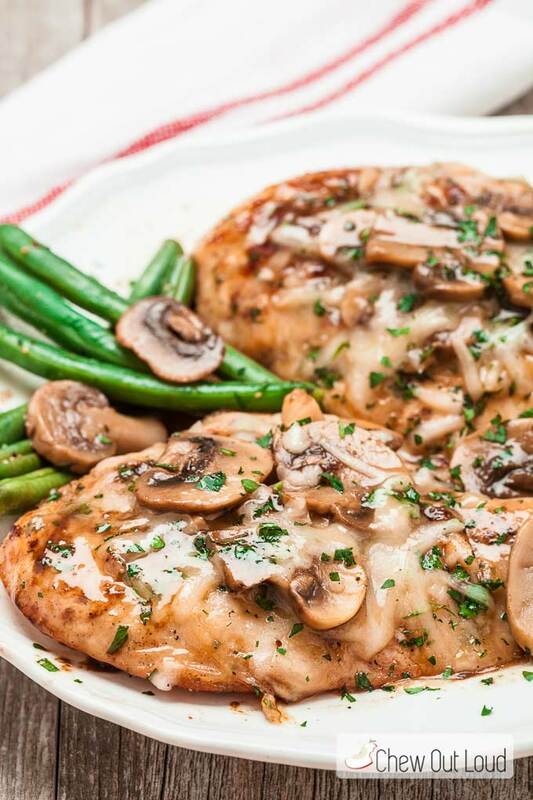 I don't go to Cheesecake Factory too often, but when I was in high school and college I loved Chicken Madeira off their menu and would love to make it at home! Seems easy enough! I'm just going to say it...I have a problem with pens! In that I buy them too frequently!! I recently bought three colors from the Le Pen Collection in periwinkle, orchid & teal. I'm so impressed with how they write and that they don't bleed through the paper! I'll be picking up more colors much to Gary's dismay with our already overflowing pen collection! I have been looking to switch to a healthier deodorant option, but wasn't really feeling all the things I was seeing/smelling until I found The Healthy Deodorant from Sephora. It's of course pricier than other brands, but to know it's 100% aluminum free, is natural safe and effective - I needed to have it! If you're skeptical like I was, try it in the travel size first which is $8 vs the $14 full size. I've purchased the hair dryer and now the round brush so I'm doing my research on creating that at home blowout!! I promise by the end of the summer I will have at least tried to perfect this myself!! Following this tutorial, but if you find one for longer hair let me know! 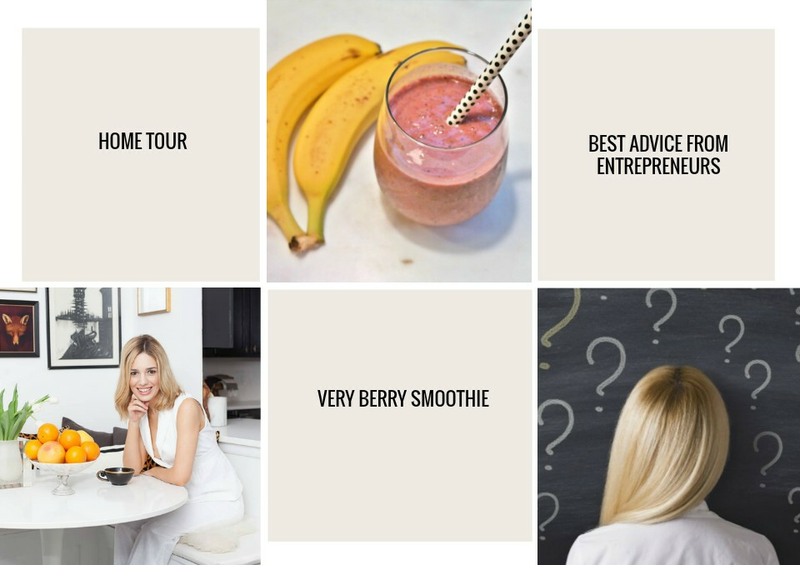 //Swooning over this home tour //ICYMI: I shared one super easy smoothie recipes as well as a few other's I want to try // Entrepreneurs and the best advice they've ever had Hope your weekends are fabulous!! 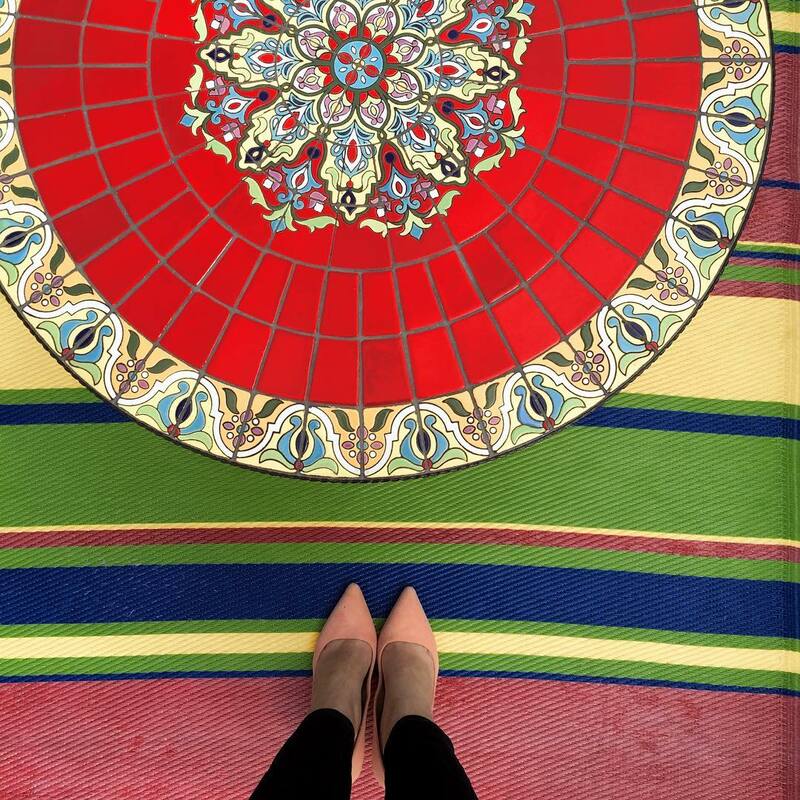 See you back here Monday for Weekending! I've been hearing so many good things about Le Pens! 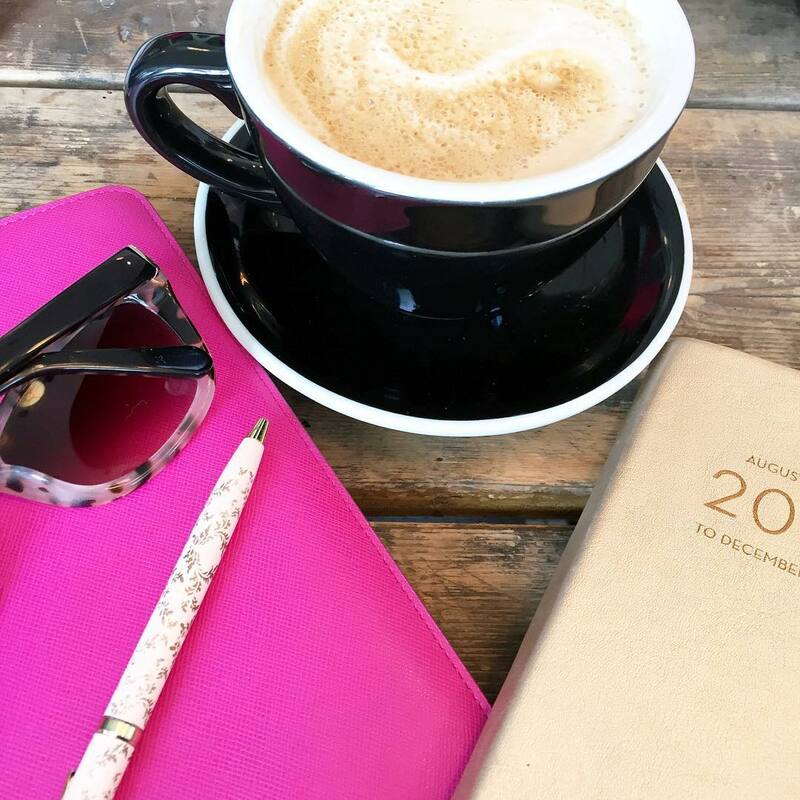 When I get my new planner this summer I plan to try them out! Periwinkle, orchid and teal? I need these colors asap!! Happy Friday girl!! Those pens are so pretty! You for sure have to do a tutorial once you master the blow out! Le Pen's just make me smile!!!!!! OH i need to have my sons read the entrapeneurs link..the are budding lil entrepreneurs, lol! I hope you have the most glorious weekend gorgeous!! Cheesecake Factory sounds so good right now!! And I need to check out those pens--you know how teachers are about their pens ha! Have a good Friday! That dinner from the Cheesecake Factory looks delicious! Every time I go there I have ordered something different and never been disappointed! This is what I will order next!! And those pens look like they would be really good. A good pen is definitely underrated- I'm the same way and not bleeding is super important! I usually use the sharpie Pens but these are much cuter! My eyes just widened as big as half dollars at the pens. I'm such an addict too. Gotta check those out. I love a good pen that doesnt bleed through. I just dont know how people get a good blow out. I try & try & try & try AND try... sigh. When you figure out the trick, let me know. I feel like I have been on the same deodorant hunt! I don't want it to smell like straight up perfume, so I am glad to hear that you like this one! I used an aluminum free deodorant but then the brand I liked was discontinued. I'll have to check out this one. That chicken looks delicious and I need to get thesepens that don't bleed for my coloring books! Have a wonderful weekend! Yum, that chicken looks delicious! The Cheesecake Factory's portions are always SO big, so it is probably so much healthier (and cheaper) made at home! :) Happy weekend! HIIII, I'm back!!!!!!!! Giiiirl, loving the new look, when did it go up? So fresh and fancy. THose pens look wonderful and yum to that mushroom meal! I got the Piperwai natural deodorant and have been using it. How do you like this deodorant? Does it work well? I like that that one seems to be in a stick unlike the Piperwai stuff. That recipe looks delicious! And I have a thing for pens too :) Hope you have a good weekend!! Just seeing that perfectly organized rainbow of pens made me smile, haha - I haven't heard of these ones before, need to check them out! I have a thing with pens too!! When I find the perfect pen it's like Christmas day hahah! Have a great weekend girl! 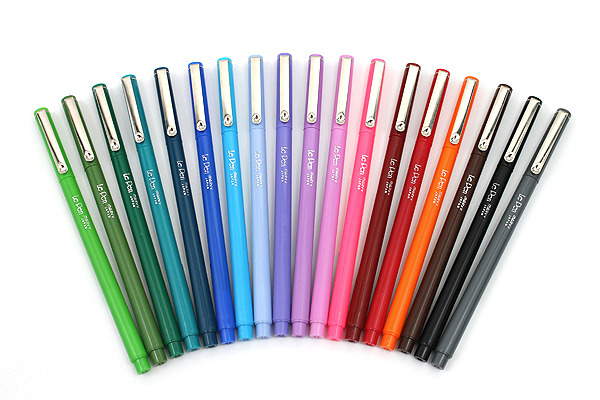 There is no such thing as "too many pens" - especially not when they come in all those fun colors! Happy Friday! i have never had that chicken at cheesecake before but it sure looks yum! i am so on there with the pen obsession! no one can take my pens haha. happy friday girly! I love love a good pen. I actually have pens that I hide at work so no one steals them from me. I always know when people have taken my pens! And instead of using red pens, I always use pink ones. haha Have a great weekend. Those pens!!! Seriously, I buy my daughter the scented glitter gel pens mostly so I can use them too ;) That chicken looks amazing too! I feel ya on the pen problem haha! Somet things like that I just can't resist! I have to check those pens out...I love me a good pen and I love that they don't bleed! I love Alex's videos, she's so cute and she now has extensions...I bet she'll update her video! Hope you have the best weekend, Biana! Those pens look so cute, totally ok to have a pen obsession especially when they are pretty! I totally need to check out the deodorant! I totally need to use that tutorial and practice more on how to get a decent at-home blow out! Happy Friday! I've been thinking about switching deodarants- but the price tag makes me pause. Does it work as well? That chicken looks DELICIOUS! I've never really been fond of The Cheesecake Factory, but whenever I would go, I would always order their Jamaican dish, which surprisingly, is really good! I'll have to look into this deodorant because I've been using one that I had for a while and stopped because it caused a little rash, but because I really don't want to use any deodorants that contain aluminum, I decided to give it a try again and I'm still getting that rash. Thanks so much for suggesting this one, I've tried SO many and none worked well enough for making the funk, haha! I hope you have a wonderful weekend ahead, beauty, enjoy the weather! How have I not picked up a Le Pen yet?! So nice that they don’t bleed! 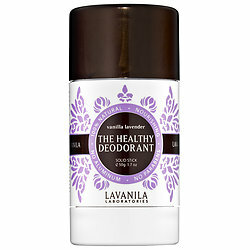 I just switched to a lavender deodorant from the local lavender farm! Pens are my jam. Those make my eyes pop out! That chicken looks soooo good! At least making it at home wouldn't make us go home with slices of cheesecake... not sure if that's a good thing or a bad thing haha! Ok! Want to try that deodorant, the teacher in me has a MAJOR pen addiction as well, and that cheesecake chicken looks all too good! Love these favorites! Happy weekend girl! I want to try that deodorant! It looks amazing! I so need to watch that video (lime 9 times) haha thanks for sharing that recipe too! Mm! Happy weekend! Le Pen is such a great brand, and they really do have so many fun colors! I also love the fact that they don't bleed through the pages which is really nice! I hope that you have a great weekend! I have a seriously major obsession with pens, so I need those ASAP. Happy Friday! I will have to try that deodorant... I just read an article the other day that scared the mess out of me about regular deodorant. It's good to know that there are healthier options out there. Have a great weekend! Chicken Madeira was always my favorite at Cheesecake Factory! I will definitely have to check out this recipe! Hope you have a fabulous weekend, Biana! Lovely round up! That recipe seems delish and easy, I might try it over the weekend. I was looking for an aluminum free deodorant when some one give me an potassium alum deodorant. It was the perfect one. Wonder how hard will be to make the recipe at home, Chicken Madeira sounds yummy. Happy Friday Biana! That deodorant looks like the perfect healthy alternative! Ohhh all the pens!!! I love pens too!!! I just had someone telling me about that deodorant the other day. They said that for them, the vanilla coconut scent worked better than any other one in that brand. I wonder if that is the case for everyone? Either way, I am all about healthy products so I already have it on my list to purchase! The other natural ones I have tried have all fell flat. Hope you have a great weekend! I love pens! Eek! Totally get it. Wow the chicken madeira sounds delish! I have a Cheesecake factory 2 minutes from work but I just prefer there as a dinner spot as opposed to lunch. That deodorant sounds interesting... I wouldn't mind trying a sample size but who is the texture/effectiveness/lasting smell compared to a regular deodorant such as Dove? 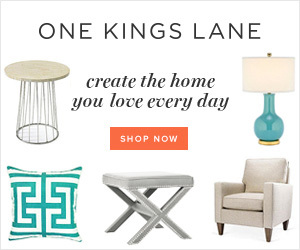 I love your new blog design!! I made the switch to natural deodorant a few months ago and I make it myself- I'm seriously SO surprised at how well it works. Your new blog looks really sleek and streamlined, love it! We used to love going to the Cheesecake factory too - my fave was always the Chicken Marsala! I keep saying I'm going to switch-- or at least try-- a natural deodorant but never want to make the splurge & get nervous because they all seem to have such mixed reviews. And those pens-- I definitely don't need any more either, but those sound so nice and I like that they don't bleed through the pages. I'm obsessed with that deodorant, it's the only one I'll use!! Let me know how you like your new blow dryer, I'm on the hunt for one, too! I love, love, LOVE that deodorant! It smells so lovely, I can't get enough of it! ha So, I actually use men's deodorant. The Old Spice collection is Aluminum free and pretty affordable. The only issue is that it seems to wear off fairly quickly. I'm a tad obsessed with pens too! These pens sound great! I may just need to buy some! Thanks for sharing that video! I'm also trying to perfect the at home blowout and can always use more tips! I have a problem with pens and stationery in general as well ha! Love le pens! I have been been wanting to try this stuff for awhile now. I like the stuff I use, but would prefer something that smelled a little better. I had no idea they sold a travel size! Thanks for the tip! Oh my! everything looks so good!!! You have to tell me, where do you find those pictures? And the picture I'm talking about is the first picture on this post. 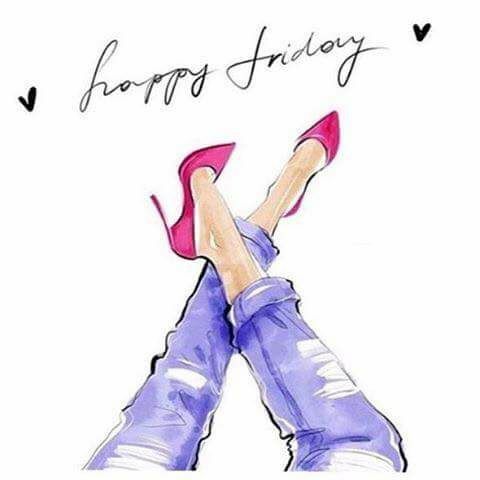 the one with the jeans, heels and the "happy friday"
I missed this weekend post but I too need to learn how to do the perfect blow-out with the right tools. I have never had Cheesecake Factory's food, just their desserts but that chicken dish looks soooo good. I also need to add some of those pens. And now I am off to check out those enterpreneur tips and see that gorgeous home tour. Happy Tuesday! oh wow, that Chicken Madeira looks so good! i might have to try it next time i go to the cheesecake factory, or try and make it myself. those pens are so pretty as well. i have been looking for a better safer deodorant so i will have to check that one out. I totally have that entire Le Pen collection. It works perfectly with my Day Designer... and it's a cheerful addition to my desk. I just need to learn not to press so hard. #lefthandedstruggles!